Here is a great article for our readers especially D Pharmacy 1st Year B Pharm First Sem students who are struggling to learn Anatomy & Physiology Subjects. Hence we provide Notes as Solved Question Paper which are very important for your examinations. 41 (d)What is sensory and motor neuron? (1+1 marks). Draw a well labeled diagram of typical neuron (2 marks). Groups of cells which have the same physical characteristics and similar functions are termed as tissues. It is composed of a liquid matrix plasma (55%) & different cells suspended in it (45%). Plasma- Composition– Water-90-92%, plasma proteins, inorganic salts, nutrients, waste material, hormones & gases. SA node (sinoatrial node) This is small mass of specialized neuromuscular cells in the walls of myocardium of right atrium near the opening of the superior vena cava. It is known as pacemaker of the heart as it initiates the impulses. AV node- (atrioventricular node): This is the mass of neuromuscular cells in the wall of the atrial septum near the AV valves. Normally it conducts the impulses that are originated by SA node. It is known as secondary pace maker as it generates the impulses when there is problem with SA node. Cataract: This is opacity of lens which may be age related or congenital bilateral or unilateral. Control of autonomic nervous system, appetite & satiety, thirst, body , emotions, sexual behavior & biological clock. Occulomotor – movement of the eyeball, change shape of lens, Constriction of pupil, raising the upper lid. Hypoglossal – Supplies to the muscle of tongue & muscle surrounding the hyoid bone & helps in swallowing & speech. Auditory ossicles: Malleus, incus & stapes are the three small bones in the middle ear extending from tympanic membrane to the oval window. Sound vibrations of tympanic membrane are amplified & transmitted by these bones. B.P is the force or lateral pressure which the blood exerts on the wall of blood vessels. Factors affecting B.P. are exercise, nutrition, age, stress, circulating hormones, autonomic nervous system activity. Respiration is a process of supply of oxygen present in atmosphere into the body & excretion for carbon dioxide. The normal human has 12-15 breath per min. Each breath consists of inspiration, expiration & pause. Inspiration: The simultaneous contraction of intercostal muscles & diaphragm increases the capacity of thoracic cavity. This reduces the pressure in the lungs. To equalise the pressure the air from atmosphere enters the lungs. The process of inspiration is active as it needs energy for muscle contraction. It lasts for 2 sec. Expiration: Relaxation of intercostal muscles & diaphragm results in decrease in the space in the lungs. As a result, the pressure inside the lungs increases as compared to atmospheric pressure. The air from the lungs is expelled from the lungs. This process is passive as does not require energy. The expiration lasts for 3 sec. After expiration there is pause & then the next cycle begins. Selective reabsorption is the process by which the composition and volume of the glomerular filtrate is altered during its passage through the convoluted tubules, Loop of Henle and the collecting tubule. The purpose of this process is to reabsorb those constituents of the filtrate which are essential to the body, maintain the fluid and electrolyte balance and the alkalinity of blood. Some constituents of the glomerular filtrate e.g. glucose; vitamins and amino acids get completely reabsorbed into the blood. These substances are called high- threshold substances. Low-threshold substances like urea, uric acid are absorbed slightly. ADH from posterior pituitary increases the permeability of the tubule & increases water reabsorption. Aldosterone by adrenal cortex increases reabsorption of sodium. Muscle tone is a sustained partial muscle contraction that allows maintenance of posture of the body. Skeletal muscles contract & help the movement of the body & stability of the joint. It also helps in generation of heat.Intercostal muscles help in respiration. Adrenal cortex produces three groups of hormones namely glucocorticoids, Mineralocorticoid & androgens. Glucocorticoids: Cortisol or hydrocortisone is the main glucocorticoid. Others are corticosterone & cortisone. They regulate metabolism like gluconeogenesis, lipolysis and proteolysis. Mineralocorticoids (aldosterone.) It regulates water & electrolyte balance. It increases the reabsorption of Na ions. Androgens: The compounds secreted are insignificant to show any action. Reproduction is the process of formation of offspring OR It is defined as process by which genetic material is passed from one generation to another & thus maintains continuation of species. the whole muscle extends beyond the fibres to become the tendon which attaches the muscle to the bone or skin. Bundles of fibres form sheets of muscle. Gout: Inflammation of joints due to deposition of sodium urate crystals in the joints. Individuals have different antigens on the surface of their RBCs. These antigens determine their blood groups. Blood group ‘O’ has neither A nor B antigen on their cell membrane. There will be no agglutination and thus blood can be safely transfused into A, B, AB and O. but can receive from only O.Therefore, blood group O is called universal donor. Whereas blood group AB has neither antiA nor antiB antibodies. Transfusion of any group into these individuals is safe since there are no antibodies to react with them. But can donate only to AB. Hence it is called as universal recipient. Cardiac cycle: The events which occur in the heart during the circulation of blood during each heart beat is called cardiac cycle OR The series of events during one heart beat is known as cardiac cycle. When the wave of contraction reaches AV node, it is stimulated & emits impulses which spreads over AV bundle, bundle branches & purkinje fibres resulting in contraction of ventricles pumping the blood into pulmonary artery & the aorta. (ventricular systole 0.3 sec). After the contraction of the ventricles there is complete cardiac diastole(0.4 sec) when both atria & ventricles relax. After this the next cycle begins. Reflex action is an automatic motor response given by the spinal cord to the sensory stimulus without involving brain in action. They are a part of defensive mechanisms of the body. Regulation of body temp.- The temp. is constant at 36.8o When the metabolic rate of the body increases the body temp increases & vice versa. To ensure constant body temp, a balance between heat production & heat loss is maintained by the skin. Formation of vit. D.- 7-dehydroxycholesterol is present in the skin. The UV light from the sun converts it to vit. Excretion- Skin is a minor excretory organ & excretes NaCl, urea & sub. like garlic. Residual volume: It is the volume of air remaining in lungs after forced Normal value is 1.2 L in males and 1.1 L in females. When a nerve impulse reaches neuromuscular junction, passage of action potential over the sole feet causes the vesicles of acetylcholine to rupture into the synaptic cleft. The acetylcholine acts on the cell membrane to increase its permeability. This allows spontaneous leakage of Na causing endplate potential. When the endplate potential increases, it stimulates the entire muscle fibre causing an action potential to travel in both directions along the fibre. When the action potential spread to inside of muscle fibre then Ca ions are released. This causes contraction of muscle fibres. Immediately after action potential is over, the previously released Ca ions recombine with reticulum and the muscle contraction stops. The enzyme acetylcholinesterase present in the synaptic cleft. causes hydrolysis of acetylcholine. The muscle fibre is repolaised again to receive successive stimuli. Stomach is a J-shaped dilated portion of the alimentary canal. It is continuous with the oesophagus at cardiac sphincter and with duodenum at pyloric sphincter. It has 2 curvatures – lesser curvature and greater curvature. The stomach is divided into three regions- fundus, body & antrum. There are three layers of smooth muscle fibres outer longitudinal, the middle circular layer & the inner oblique fibres. This helps the churning movement & peristaltic movement. Endocrine glands are ductless glands which release their secretions (hormones) directly into the blood. Exocrine gland: The glands that discharge their secretions through the duct are known as exocrine glands. Endocrine glands: Pituitary gland, thyroid gland, parathyroid glands, pancreas (islets of Langerhans). adrenal glands, pineal gland, testes in male and ovaries in female. Menstruation: This is the series of events occurring regularly in females every 26-30 days throughout the child bearing age. The cycle consists of menstrual phase for 4 days, proliferative phase for 10 days & secretary phase for 14 days. Proliferative phase: It is characterized by release of oestrogen by the maturing ovarian follicle under the influence of FSH from the anterior pituitary. Oestrogen stimulates the proliferation of the endometrium in preparation of the fertilized ovum. The endometrium becomes thicker by rapid cell multiplication and this is accompanied by an increase in the number of mucus-secreting glands and blood capillaries. This phase lasts for 10 days and stops when ovulation occurs and oestrogen production is inhibited i.e. when the ovarian follicle ruptures. There are various factors which accelerate and retard the clotting of blood. The superior vena cava (for upper body) and inferior vena cava (for lower body) receive deoxygenated /impure blood from various part of the body through different veins. This deoxygenated/ impure blood they pour into the right atrium of heart. The blood from right atrium enters the right ventricle through a tricuspid valve, which prevent back flow of blood from ventricle into atrium. The deoxygenated/ impure blood from right ventricle is forced into pulmonary artery through pulmonary valve. The pulmonary arteries divide into two branches each enters the right and left lungs. In the lungs, the red blood cells (RBCs) release carbon dioxide and absorbs oxygen. This oxygenated blood from right and left lungs is collected by four pulmonary veins and poured into left atrium. From left atrium this blood enters into left ventricle through bicuspid valve which prevents back flow of blood into left atrium.This oxygenated blood from left ventricle is forced into the aorta through aortic valve which prevent back flow of blood into left ventricle. Vasomotor centre – This controls the diameter of blood vessels especially small arteries and arterioles. The central retina has macula lutea or yellow spot made up of only cone cells. It has central depression called fovea centralis.All the nerve fibres of retina form the optic nerve. The small area of the retina where the optic nerve leave the eye is known as optic disc or blind spot as no light sensitive cells are present here. Nephritis: Nephritis refers to inflammation of one or both kidneys due to infection or autoimmune disease. Mastication: It is the process by which food is chewed and mixed with saliva to form a soft mass or bolus which is swallowed. OR Mastication means chewing process takes place in mouth cavity. ii) Digestion: The conversion of complex food ( carbohydrate , proteins & fats) into simpler form (glucose, amino acids & fatty acid) by mechanical breakdown & chemical digestion so that it is easily absorbed into the blood and utilized for energy. Secretion of bile: Bile salts are helpful in digestion and absorption of fats by its emulsification. Protein metabolism: Deamination of amino -removes nitrogenous portion from amino acid not required for formation of new protein. Urea is formed from the nitrogenous portion which is excreted in urine. Break down of nucleic acids to form uric acid which is excreted in urine. Transamination: Removes the nitrogenous portion of amino acid & attaches it to carbohydrate molecule forming new non-essential amino acid. .
Breakdown of RBCs & defense against This is carried out by Kupffer cells. Storage of glycogen, iron, copper, & water fat soluble vit-A, D,E, K, soluble vit. Like B12. In all parts of the body, the venous blood passes from the tissues to the heart by the direct route. passes through the secondary capillary bed, the hepatic sinusoid in the liver before entering the general circulation via the inferior vena cava. Blood with the high concentration of nutrients absorbed from the stomach & intestine goes to liver first. In the liver certain modifications takes place including the blood nutrient level. The venous blood then leaves liver via hepatic vein & joins the inferior vena cava. Increase motility and fertility of spermatozoa. (d)What is sensory and motor neuron? (1+1 marks). Draw a well labeled diagram of typical neuron (2 marks). Sensory neuron (1 mark): They carry information from the body to the spinal cord. The impulses may then pass to the brain or to connector neurons of reflex arcs in the spinal cord. 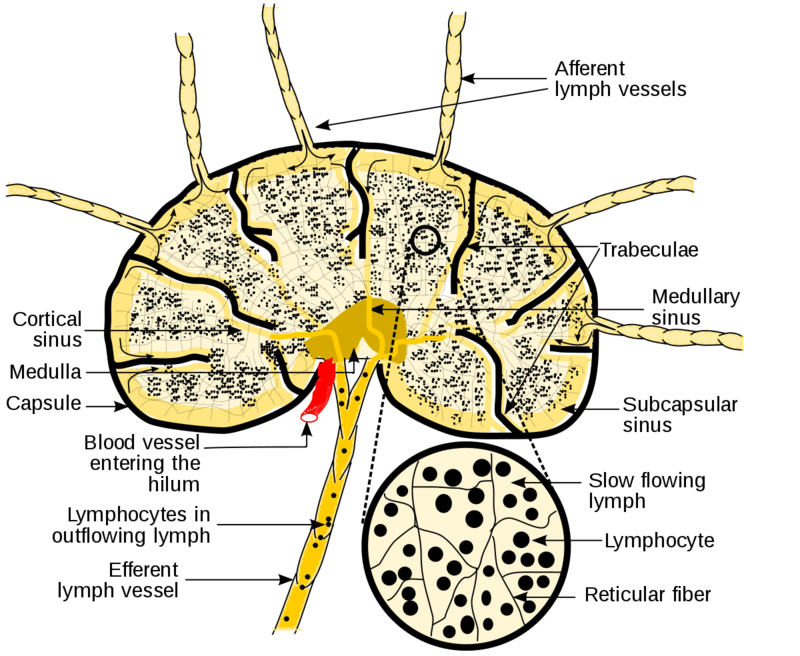 Motor neuron (1 mark): They originate in the brain, spinal cord and autonomic ganglia. They transmit impulses to the effector organs; muscles and glands. Sympathetic stimulation: Dilation of pupils causing mydriasis. Parasymp. stimulation: Constriction of pupils causing miosis. Sympathetic stimulation: Bronchodilation allowing greater amount of air to enter the lungs at each inspiration. Role of glucagon (1 mark): Its function is to increase blood sugar level. Whenever the blood sugar level falls below the normal the glycogen stored in the liver is broken down to glucose by the hormone glucagon. Thus the two hormones help to maintain the blood sugar level constant.